March is here and that means spring cleaning for some as the warmer weather is sure to be coming soon! 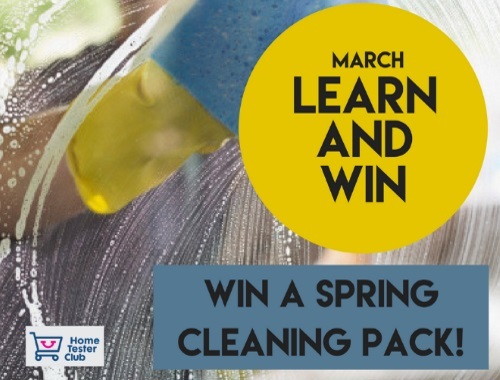 Home Tester Club has a giveaway as part of their March Lean & Win! Complete the short survey at the link below for a chance to win an awesome Spring Cleaning Pack!